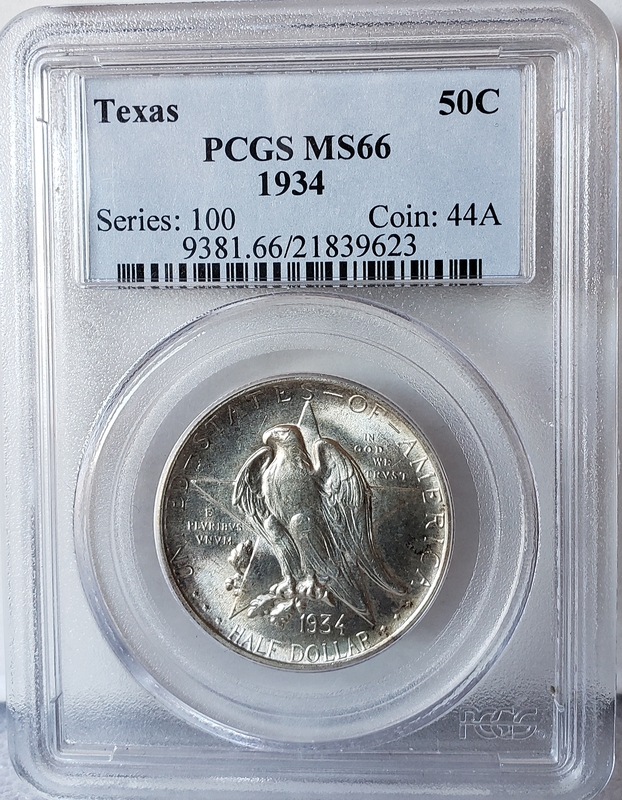 PCGS Certified MS66, Gorgeous & High Grade, 1934 Texas Comemmorative Half, Solid Choice For Any Collector. Great looking piece, and solid choice for every collection. will be shipped inside a padded mailer.